High-end phones only. No QWERTY devices. Phones ordered by release date - more or less. Data from GSMArena.com. 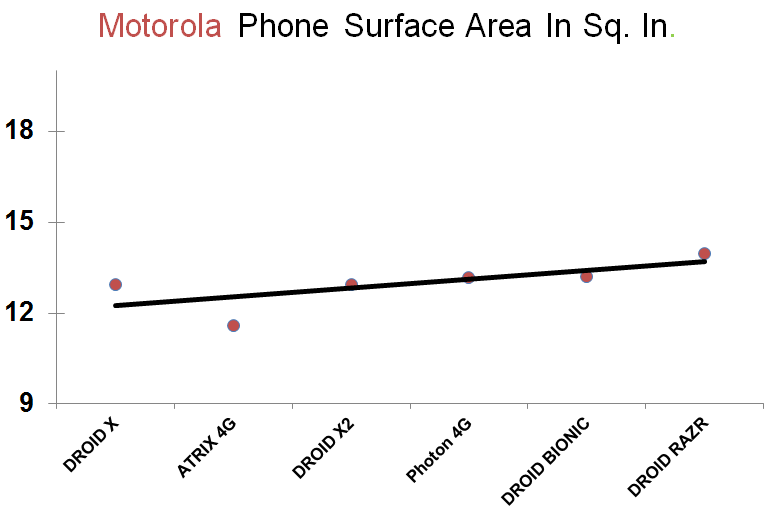 Somewhat ironically, Motorola has shown the slowest rate of touchscreen device size-creep of any of the major manufacturers, having started out pretty big with what, at the time, was the gargantuan DROID X. 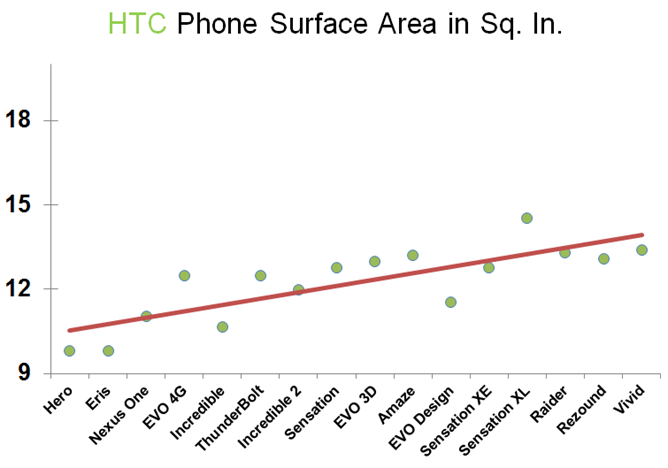 However, both Samsung and HTC have released significantly larger devices than Motorola's biggest handset yet, the DROID RAZR (the Galaxy Note, Galaxy Nexus, Infuse, and Sensational XL, respectively). 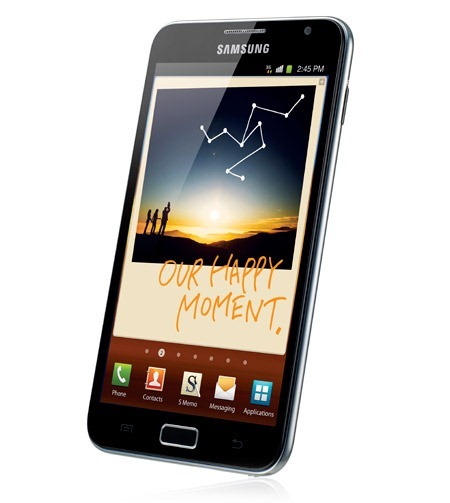 Do we really need such big phones? It seems that many Android fans go wild when a new milestone in screen size is announced (as was evidence by the excitement around the Galaxy Note), but how long can this go on? 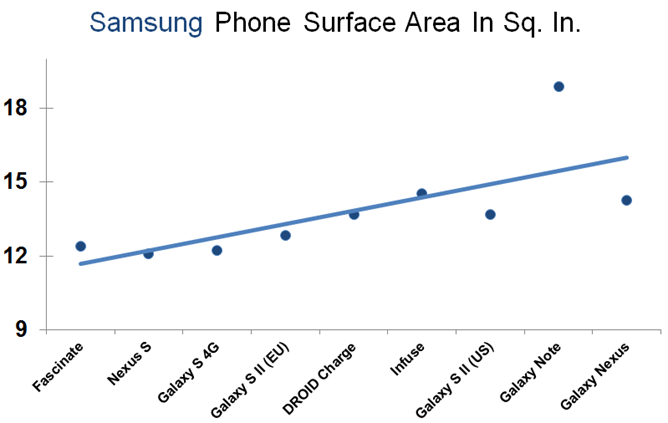 The Galaxy Note has most recently taken the crown as the largest Android phone to date, eeking out a narrow victory over the original Dell Streak, which measured 18.7 square inches to the Note's 18.9. In all practicality, you can't stick the Note in your pocket. Even putting my DROID BIONIC in my pocket, which is smaller than the RAZR, feels a bit unnatural. I loved that my old Nexus One was so easy to use with one hand free, and that it never felt unwieldy. I don't want to use two hands to reach the opposite end of the display. Bigger isn't always better. Apple has had huge success with the iPhone's 3.5" display, but it seems Android manufacturers are targeting a perceived demographic of consumers who want even more screen real estate. While phones will inevitably top out at a certain size, will they then contract back to smaller form factors again? Many of you agreed that 4-4.3" was the "ideal" size for a phone display, though it seems 4.5" is rapidly becoming the new standard. What's next, 4.7"? Phone thickness has, on the other hand, begun plummeting. 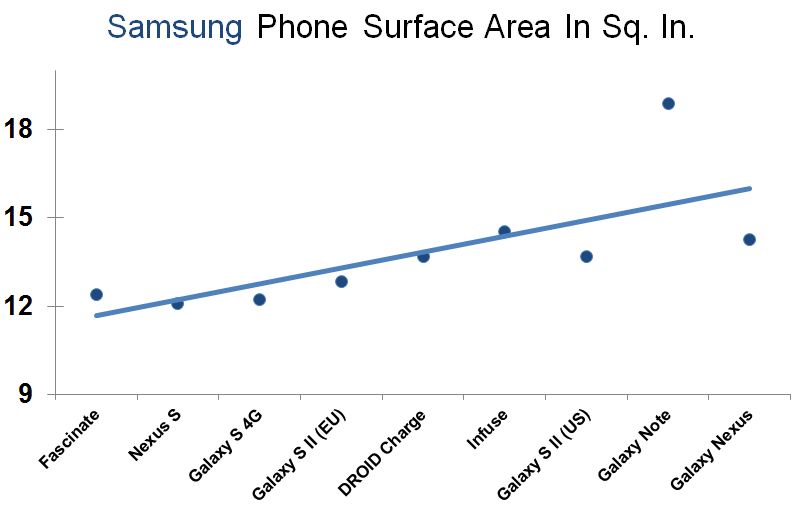 Samsung's Fascinate, based on the Galaxy S, was 10.5mm at its thinnest point, but the upcoming Galaxy Nexus is a mere 8.9mm - clear progress. Motorola's 7.1mm RAZR has set the thickness bar particularly high (or low? ), and perhaps this could make carrying such a large device a little less annoying - though numerous reviewers have commented that its unusual width makes the device uncomfortable to hold. Without much phone for your thumb and forefinger to pinch, this could actually make holding the phone a worse experience than if it were thicker. The solution? Well, it depends on whether or not you see a problem. I always thought the Nexus One was the ideal form factor, and though the Nexus S was comfortable in-hand as well, I still like the idea of a small, powerful phone. I understand why many want devices with larger displays for gaming, video watching, eBook reading, and less squinting, but to see that manufacturers have all but given up on making smaller flagship devices is a bit disconcerting.